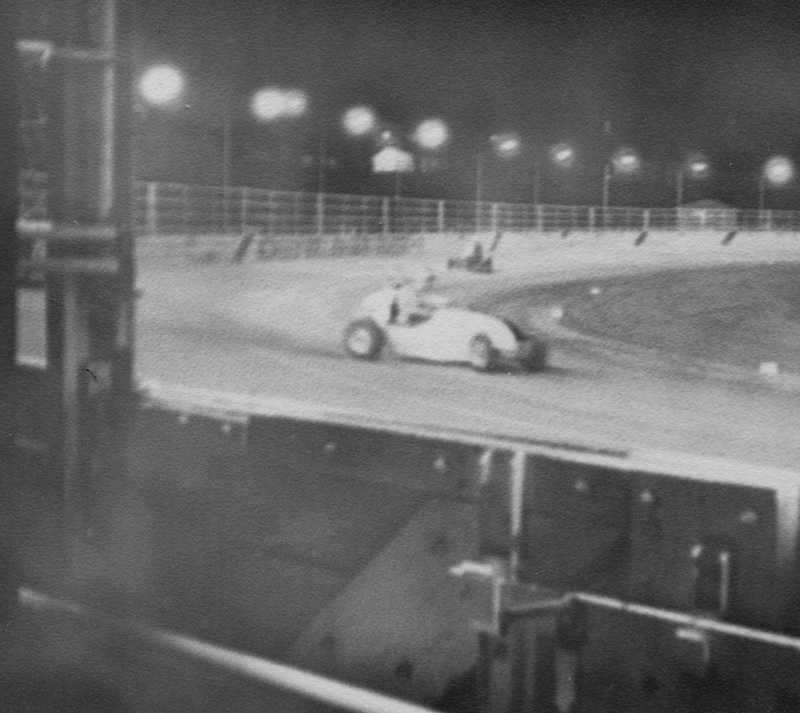 Rowley Park Speedway was built in 1948 by a group of disgruntled speedcar drivers from Kilburn Speedway, originally the speedway site was to be the home of South Australian Soccer but the ex brickpit was deemed to be unsuitable and so soccer moved to Hindmarsh Oval. 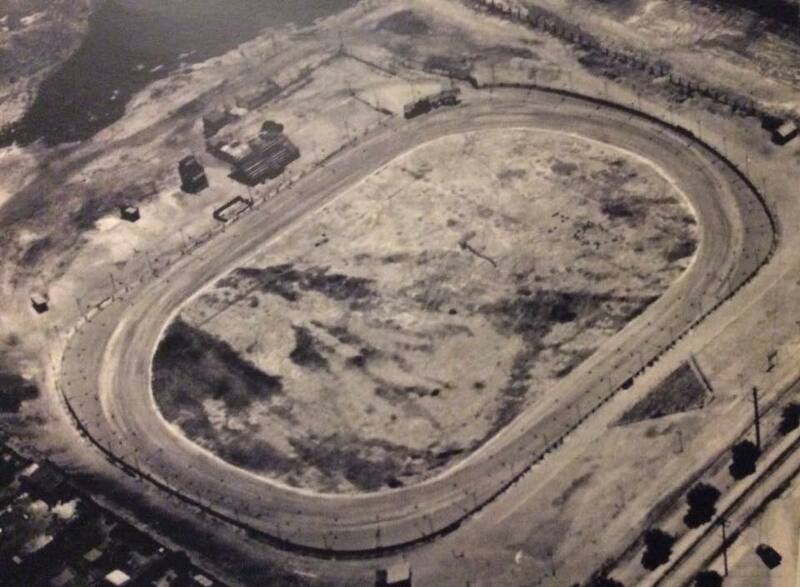 The speedway was originally shaped with four distinct corners and a small rectangular saftey fence. 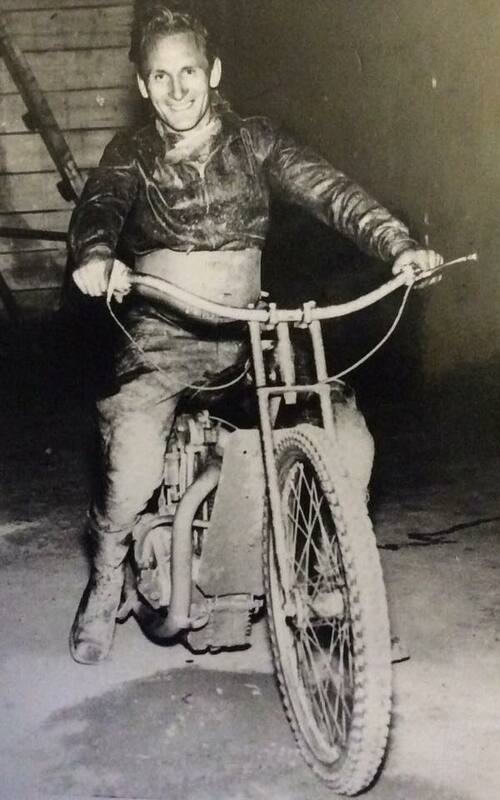 Rowley Park opened on the 21st of December 1949 under the promotion of Wal Watson who was one of the Kilburn Speedway drivers. 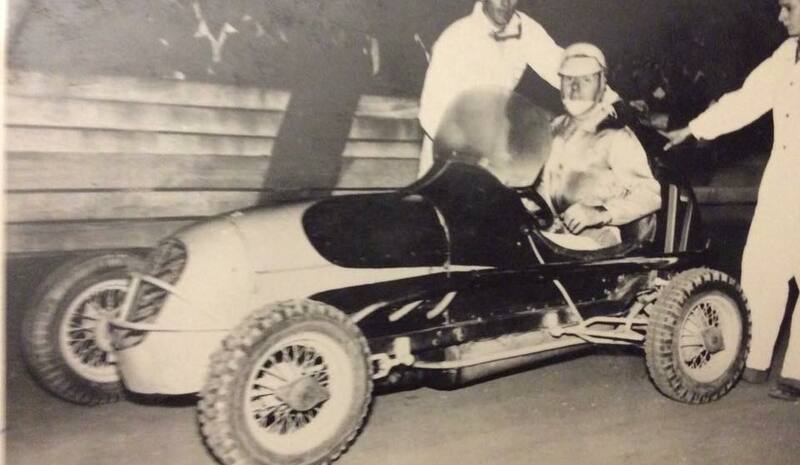 In 1951 Watson sold the lease to former Sydney solo and speedcar driver Alf Shields, Shields ran the speedway up until 1954 when he sold the lease to a young Kim Bonython. 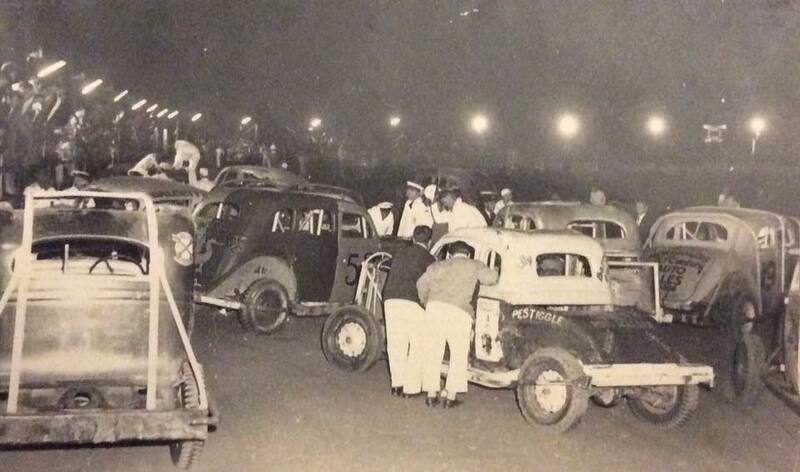 Bonython would go on to run Rowley Park for the next twenty years with great success. 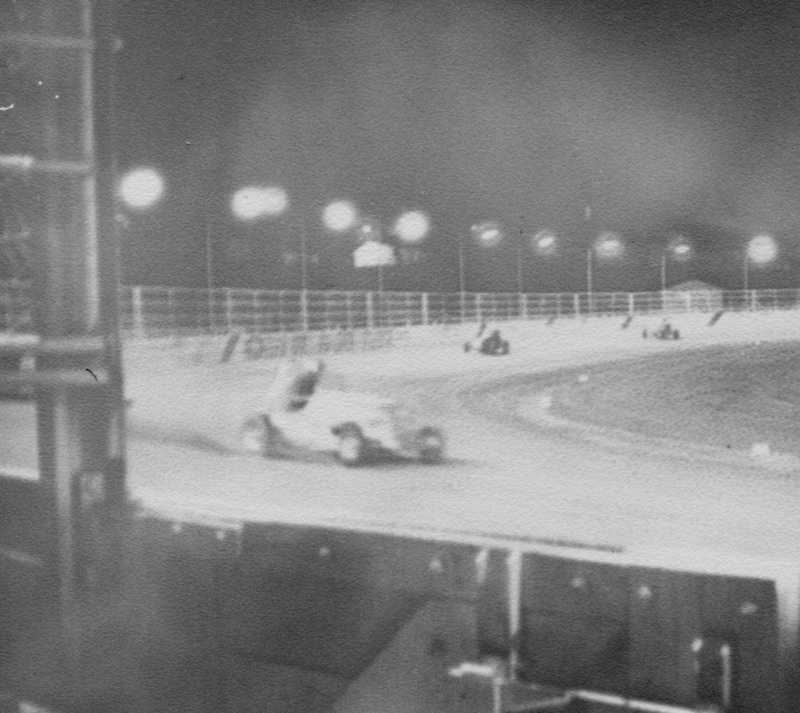 In 1953 the track shape was changed to a more oval layout and a catch fence was added to the top of the original track fence, the track surface of shell grit and brick pipe clay was replaced with dolomite in 1953 through to 1955. 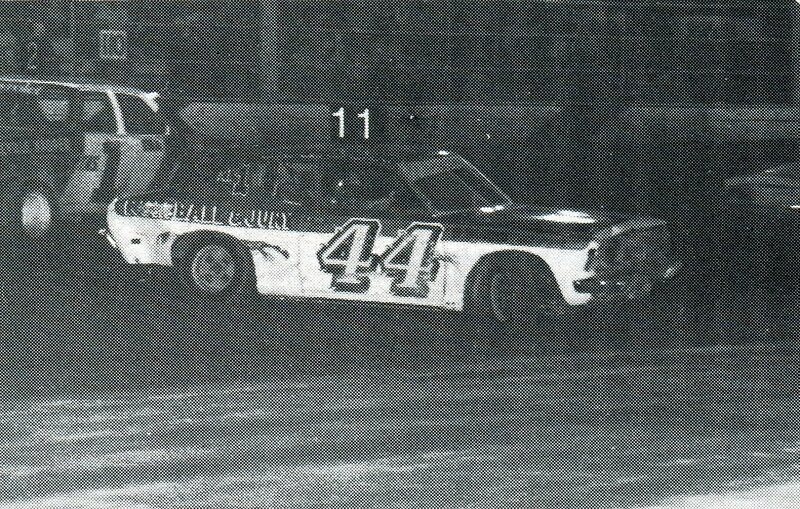 Further upgrades to the catch fence wer done in 1965 and this lasted lasted until the track closed in 1979. 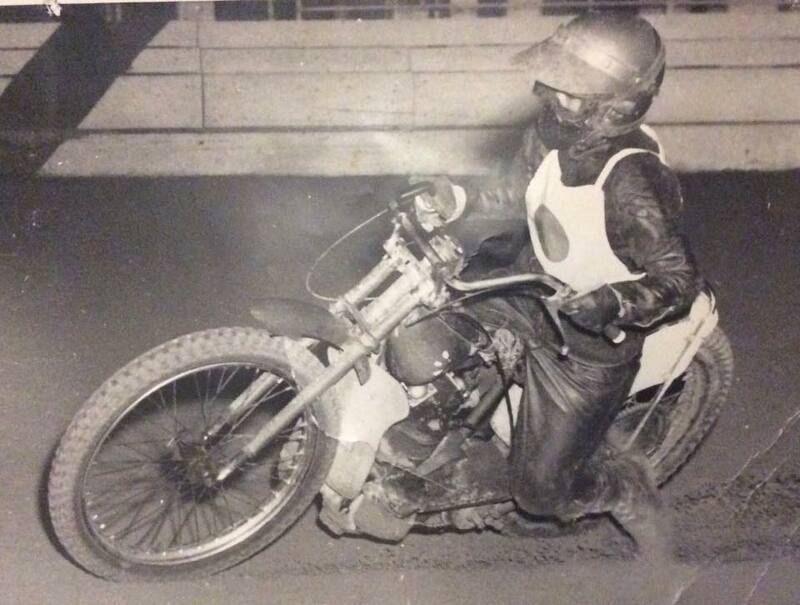 During its heyday Rowley Park rivaled any speedway in Australia with crowds upwards of 15,000 attending, In 1965 it has been reported that a crowd of 20,000 packed into the venue to see Australia's first Demo Derby. 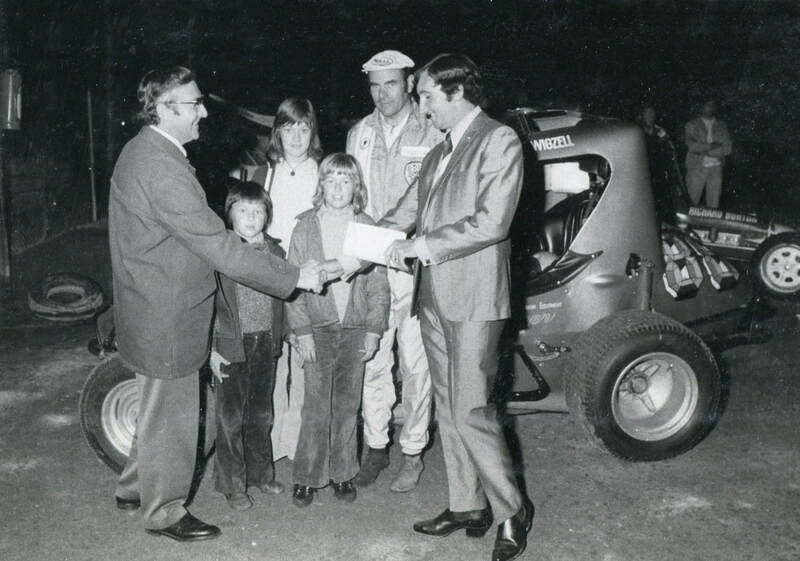 In around 1972 Bonython moved on and a group of former drivers took over the lease, Kevin Fischer, Cec Eichler, Rex Sandy and Ray Skipper, this would be for one season only 1973/1974, Thats when the Racing Drivers Association of South Australia took over. 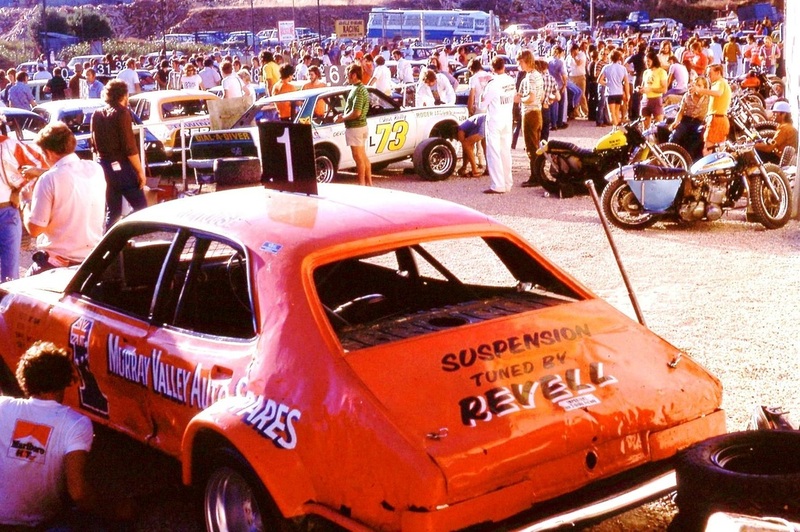 The South Australian RDA would run Rowley Park from 1974 until it closed because of complaints from residents about noise and traffic problems. 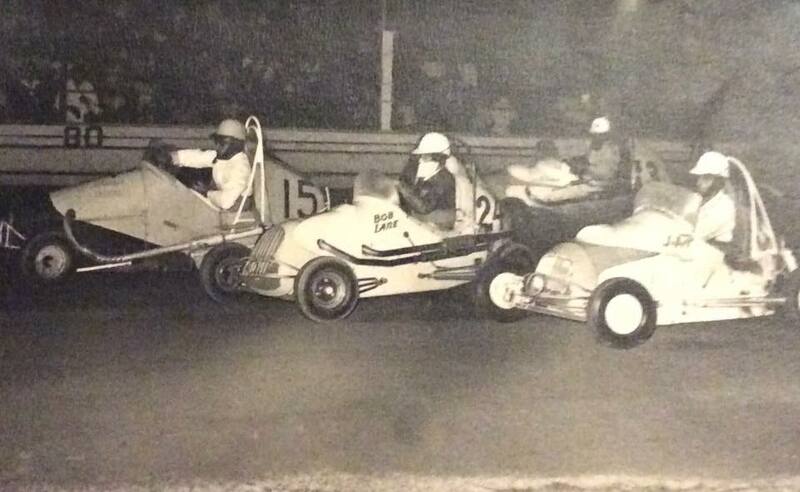 Rowley Park Speedway closed on the 6th of April 1979. Rowley Park was named after Mr Enoch Proctor (Ted) Rowley one of Australia's best known goalkeepers in the early days of Australian soccer. Ted Rowley came to Australia from Staffordshire (England) in May of 1900, Landing in Albany WA Rowley worked as a clerk with the railways and in his spare time he served a seven year dental apprenticeship. 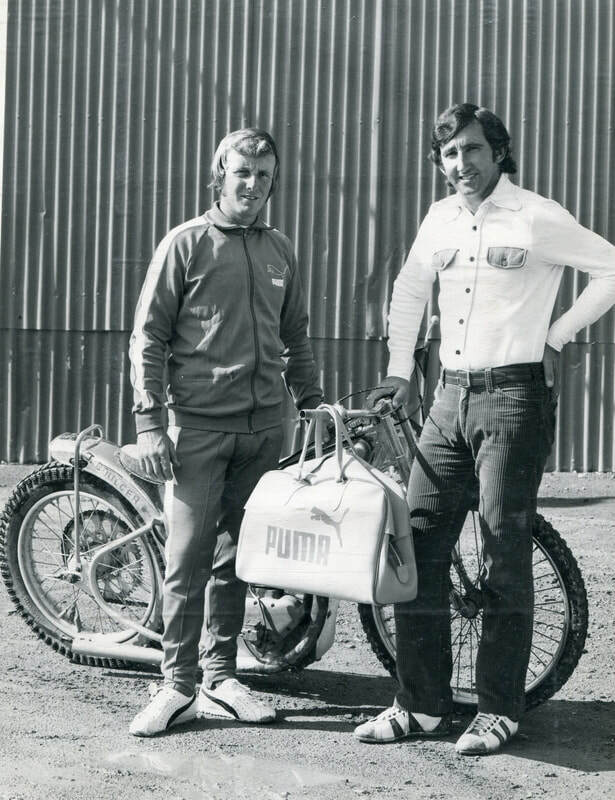 During his eight years in Kalgoorlie (where his yncle lived) he became almost a legendry figure in the soccer world being regarded as WA's best goalkeeper, He also played 1 game of of Aussie Rules kicking 10 goals but gave the game away and sticking with the round ball. He came to Adelaide in 1908 a qualified dentist establishing a partnership in Victoria Square which in 1918 he took over when his partner died. 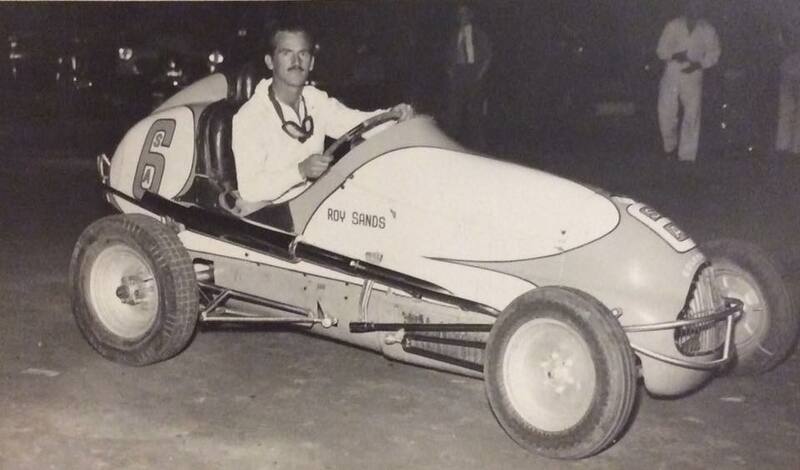 1950's - Adelaide driver Roy Sands. Photo: Dean Donovan. 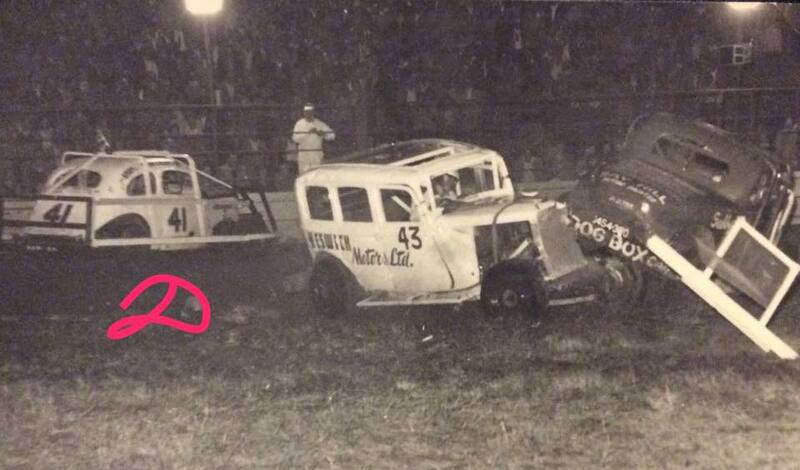 1950's - Bill Wigzell in a bit of trouble when a radiator hose bursts in his 22 car. Photo: Dean Donovan. 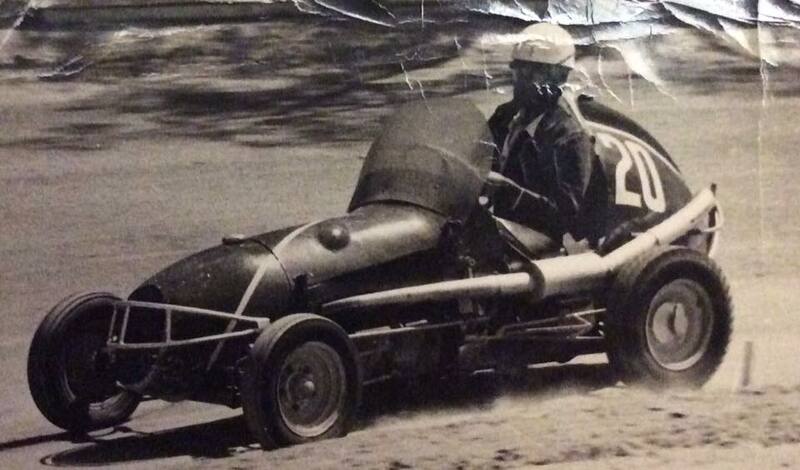 1950's - Harry Neale would later be killed in an accident at Claremont Speedway. Photo: Dean Donovan. 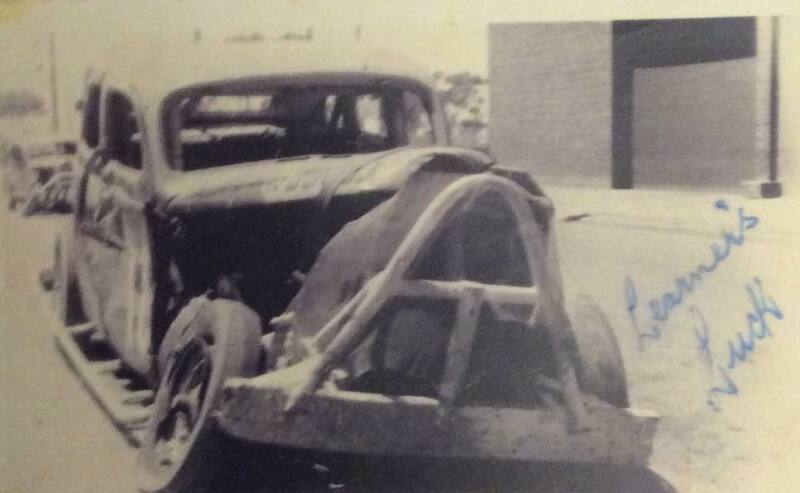 1950's - An early shot of Ray Skippers car after not avoiding an accident (labeled learners luck) Photo: Dean Donovan. 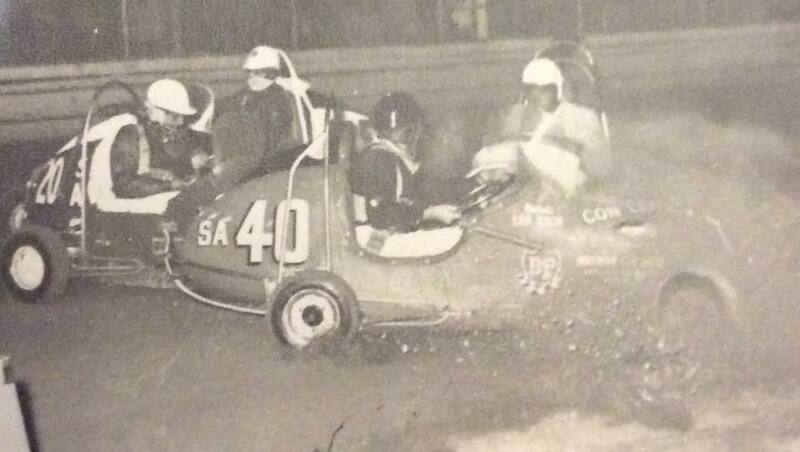 1950's - Ray Skipper in the 91 hot rod drives around Don Willison (sidecar rider) Photo: Dean Donovan. 1950's - Photo: Dean Donovan. 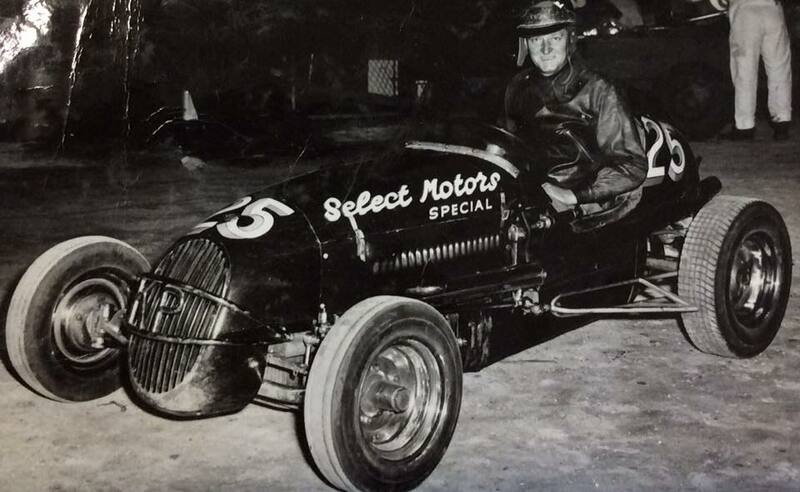 1953 - Harry Neale Three Quarter Midget at Rowley Park Speedway. 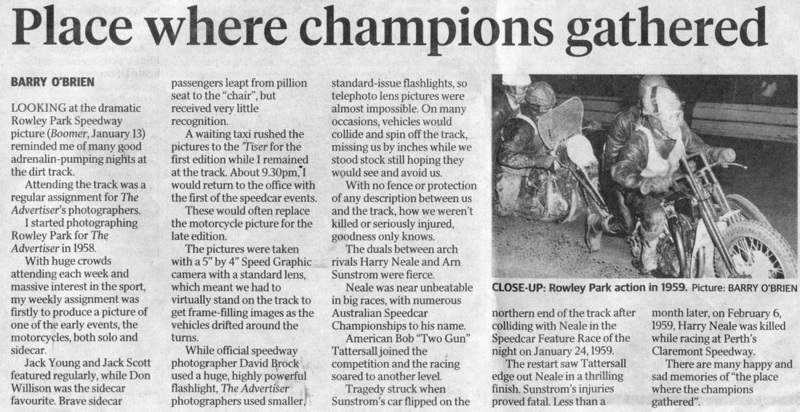 Photo: West Coast Speedway News collection. 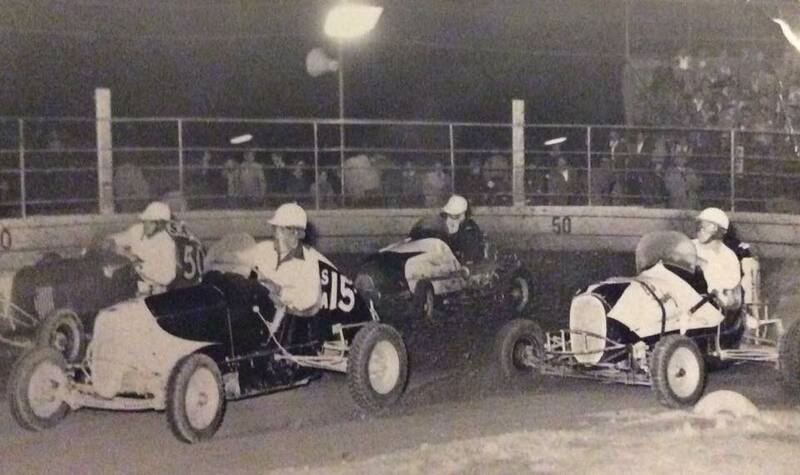 1955 - Dud Lambert 50 - Bruce Rickard 15 - Arn Sunstrom - Ron Wood in Old Smokey. Photo: Dean Donovan. 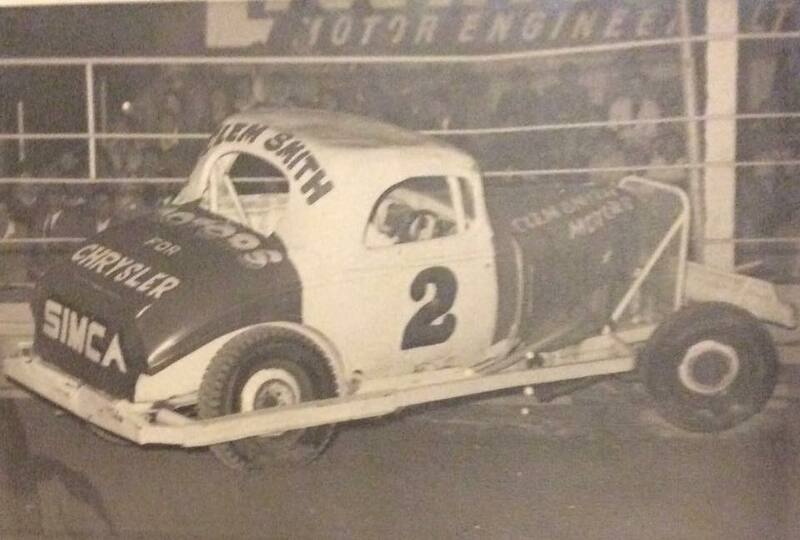 1955 - Allan Golding in the 12 car locked in battle with Murray Hoffman in the Tiger Kitten car as it was known. Photo: Dean Donovan. 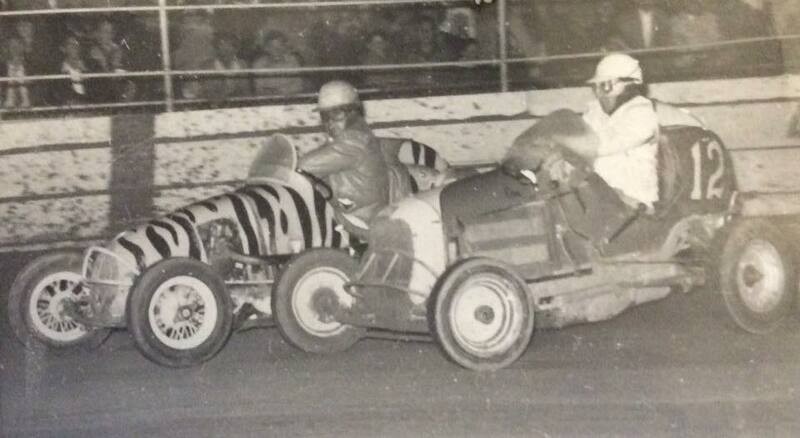 1955 - Pedro Kennedy in the 41 car, Barry Lambert 43 and Ross Hill in the 55 car known as Dog Box. Photo: Dean Donovan. 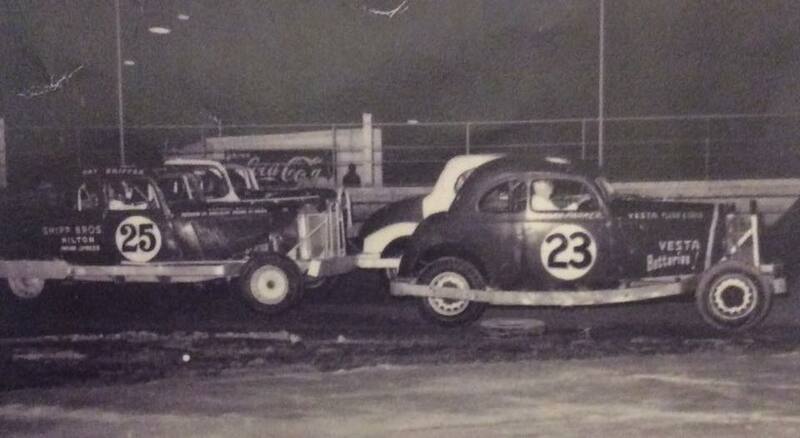 1955 - Ray Evans in the number 3 car gets into Murray Parker in the 11 car. Photo: Dean Donovan. 1957 - Photo: Dean Donovan. 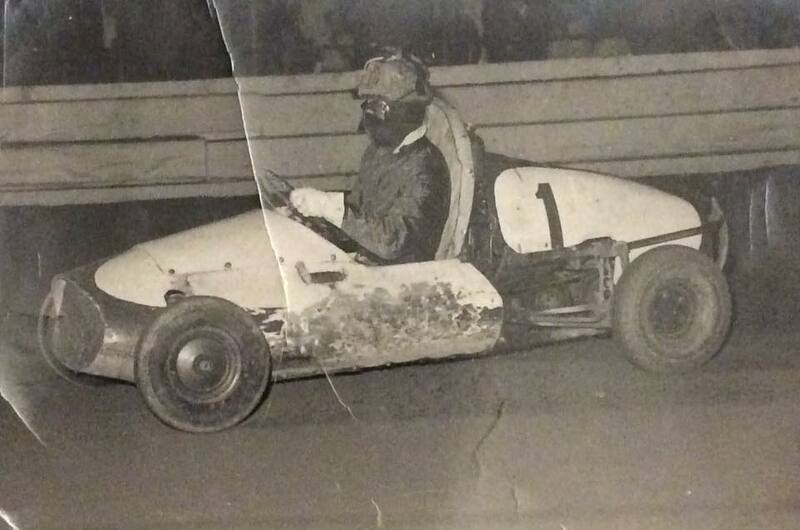 1958 - Gerry Hussey in the Albert Ludgate number 1 car. Photo: Dean Donovan. 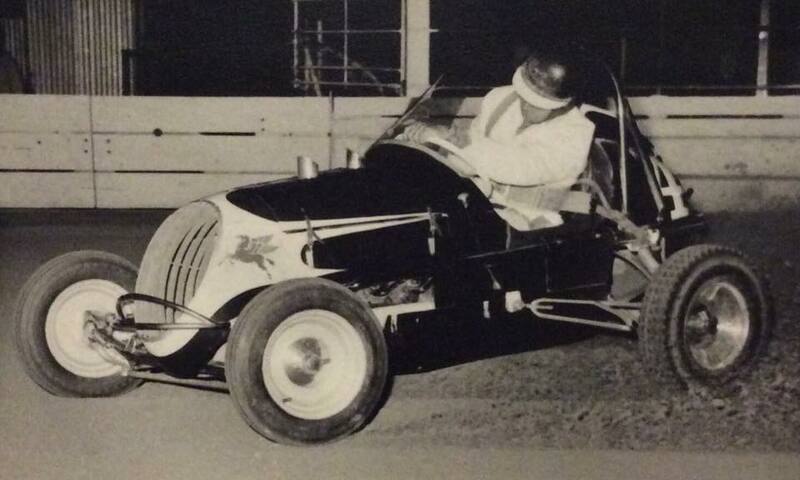 1958 - Ross Goonan from New Zealand in the v6 60 Ford powered speedcar at Rowley Park. Photo: Dean Donovan. 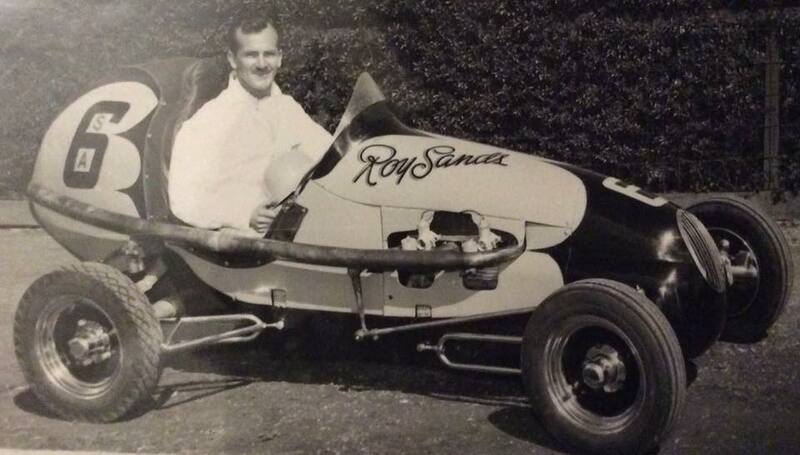 1958 - Kym Bonython brought this V8 60 powered speedcar off New Zealands Ross Goonan for USA driver Bob Tattersal to race at Rowley Park Speedway for the 1958 1959 racing season. Photo: Dean Donovan. 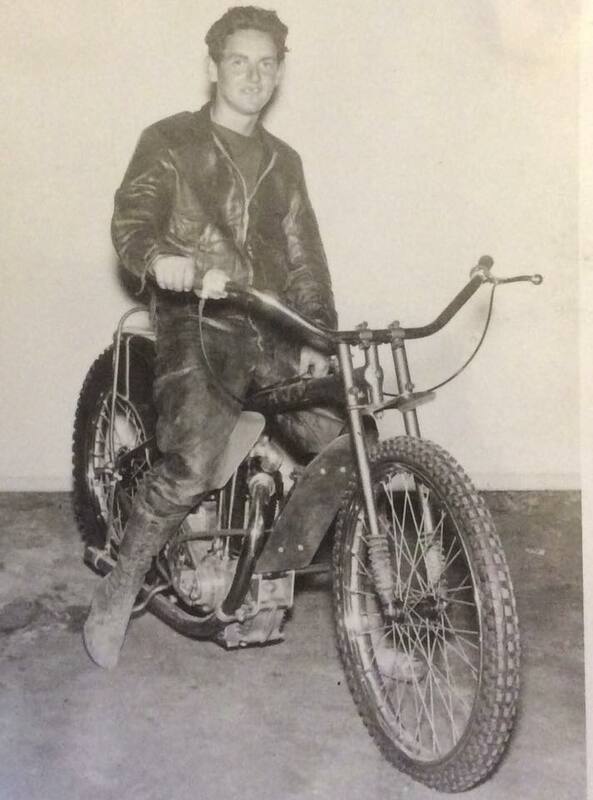 1958 - Photos: Dean Donovan. 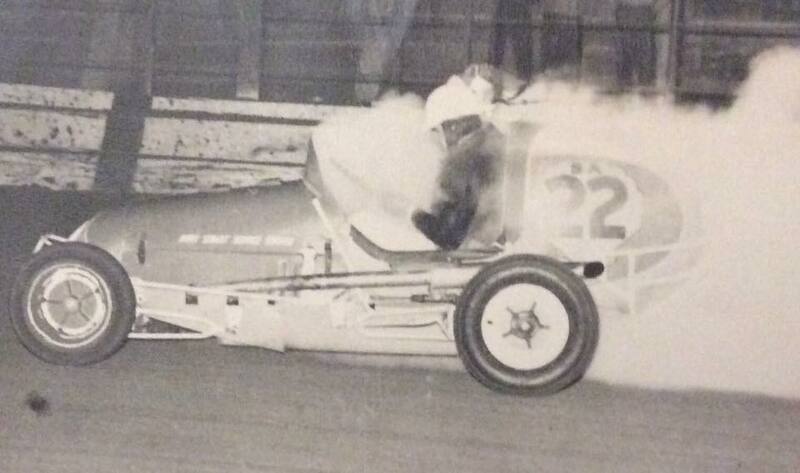 1958 > 1959 - Kym Bonython inside Arn Sunstrom. Photo: Dean Donovan. 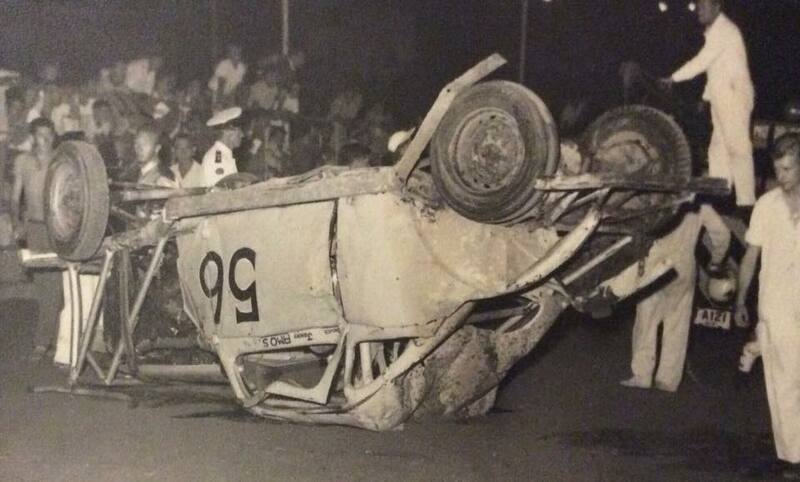 1958 - Bob Lindsay's racing ended after a bad accident at Rowley Park Speedway. Photo: Dean Donovan. 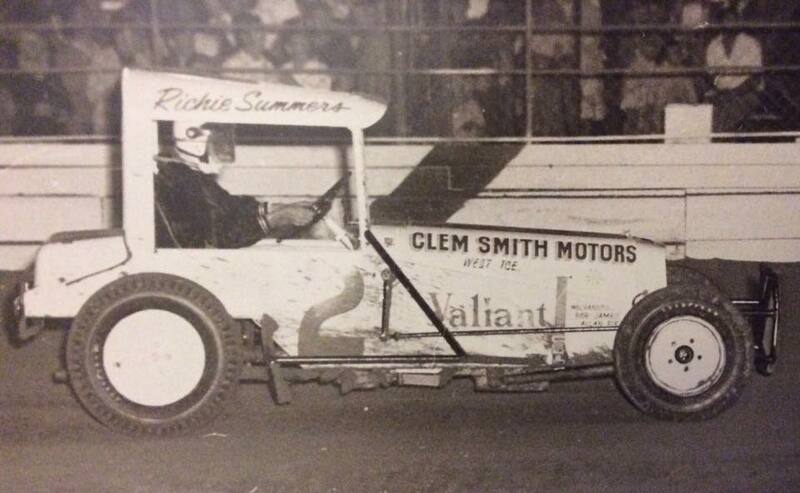 1959 - Frank Lacey running inside Clem Smith. Photo: Dean Donovan. 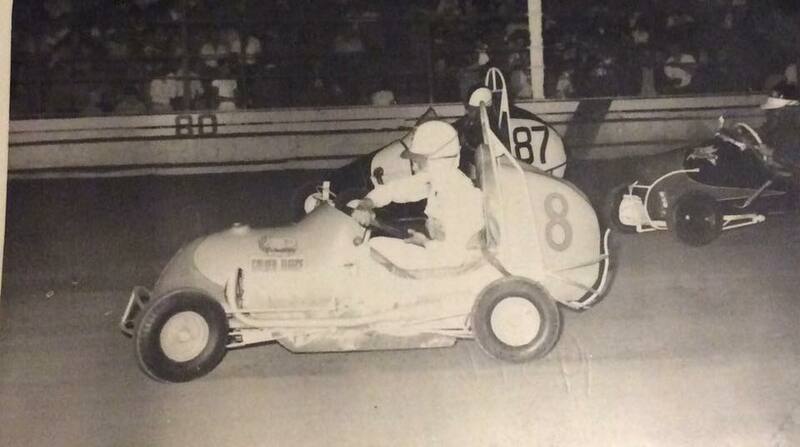 1959 - Ron Burns in the 8 car runs inside of Len Talbolt in the 87 car. Photo: Dean Donovan. 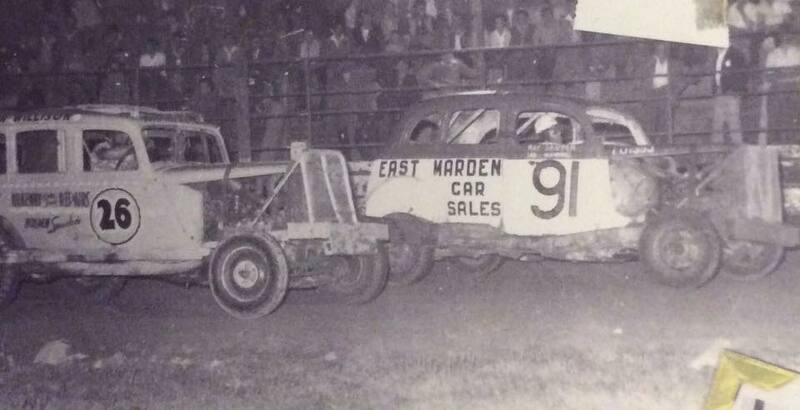 1959 - Ron Wood in Old Smokey holds a lead over Rex Sandy at Rowley Park Speedway. Photo: Dean Donovan. 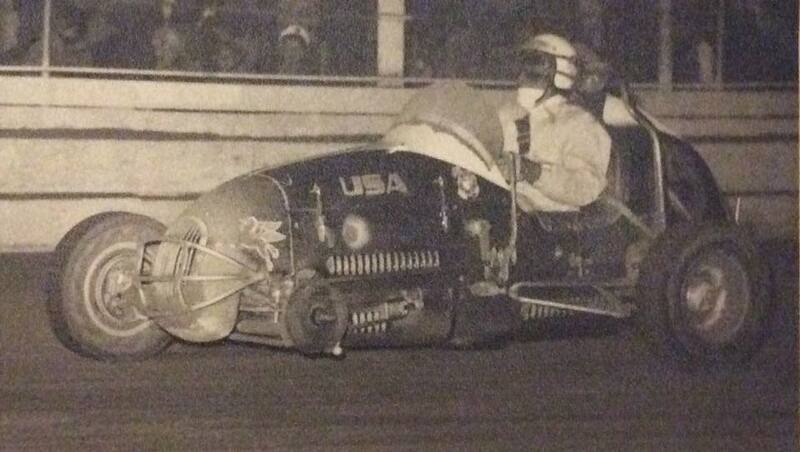 1959 - The accident that took Gerry Hussey's life. Photo: Dean Donovan. 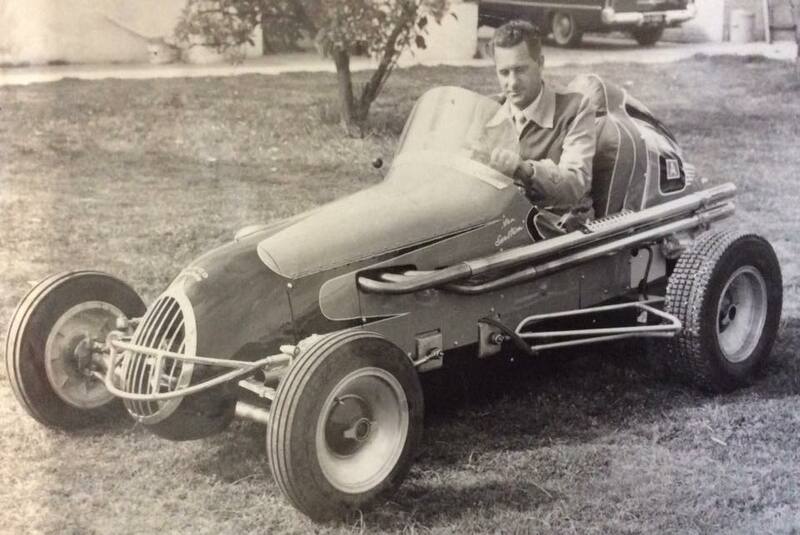 1959 - Arn Sunstrom sits in the picture perfect Repco Holden powered speedway that he raced, Arn would loose his life in an on track accident at Rowley Park on the 24th of January 1959. Photo: Dean Donovan. 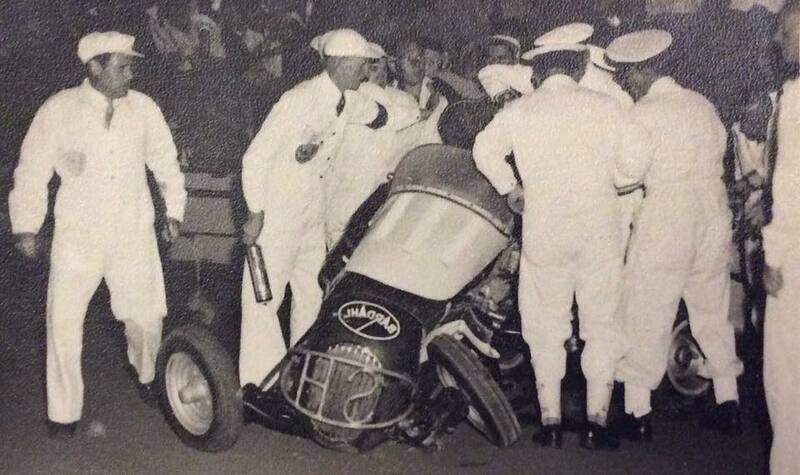 1959 - The very accident that took the live of Queensland Speedcar driver Steve Howman at Rowley Park Speedway. Photo: Dean Donovan. 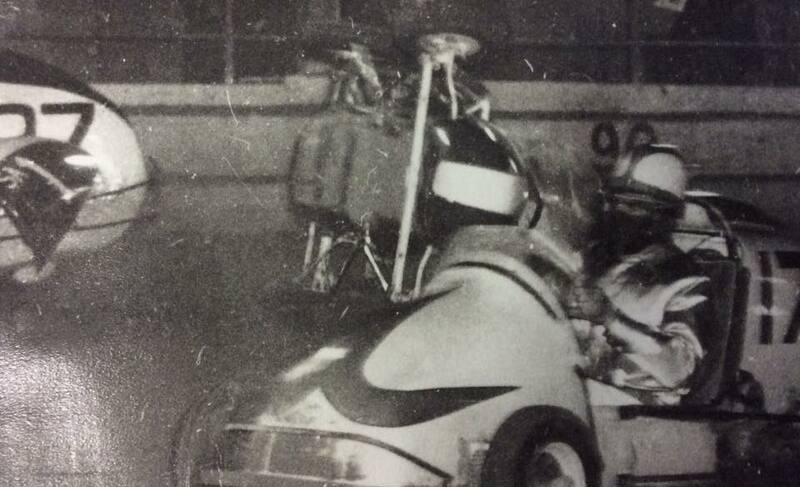 1960's Japanese rider Nanae Okamoto would later die after an accident upon returning to Japan. Photo: Dean Donovan. 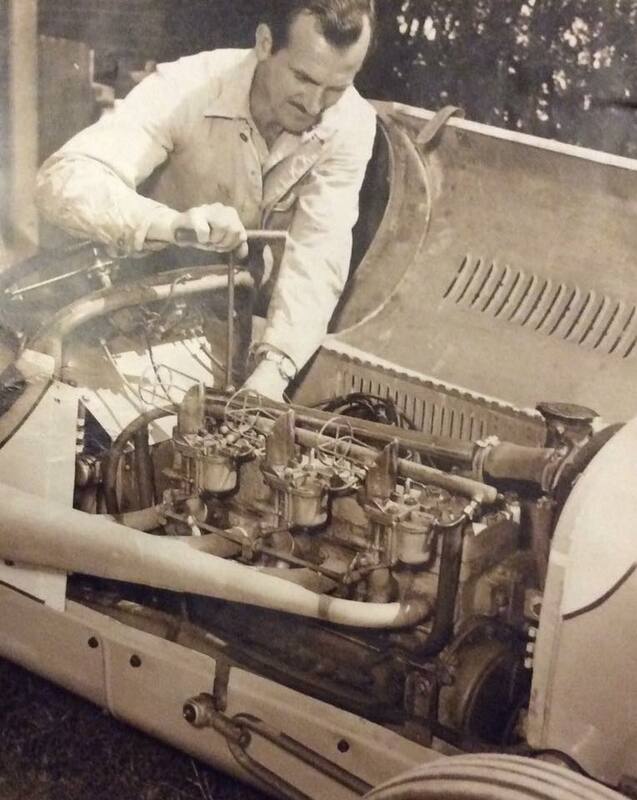 1960's - Johnny Miller in the Ford powered car, under powered but gave the others a hurry up. Photo: Dean Donovan. 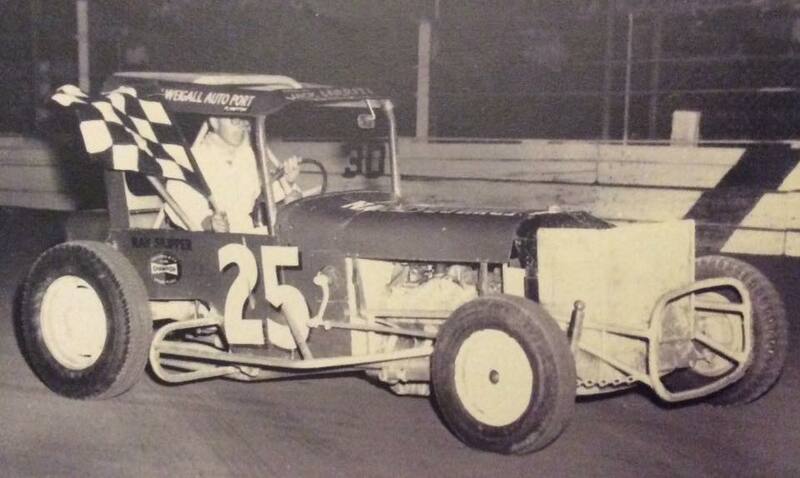 1960's - Bob Lane splits the field in the 24 car. Photo: Dean Donovan. 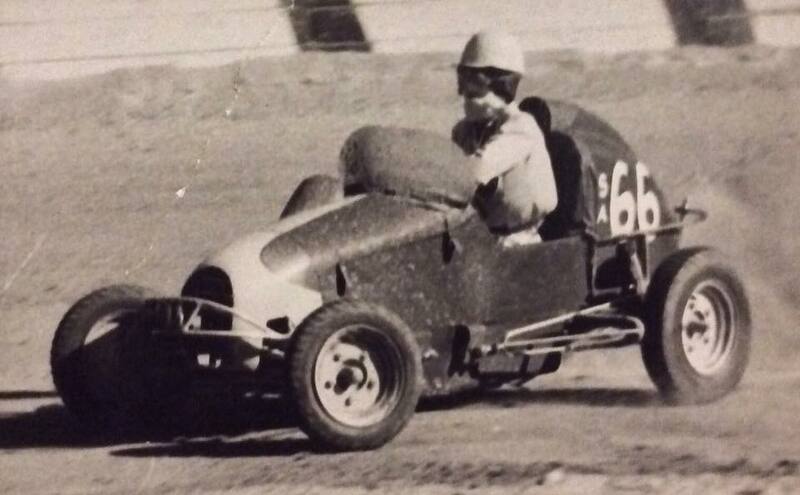 1960's - Lew or Lanky Lew Marshall as they named him. Photo's: Dean Donovan. 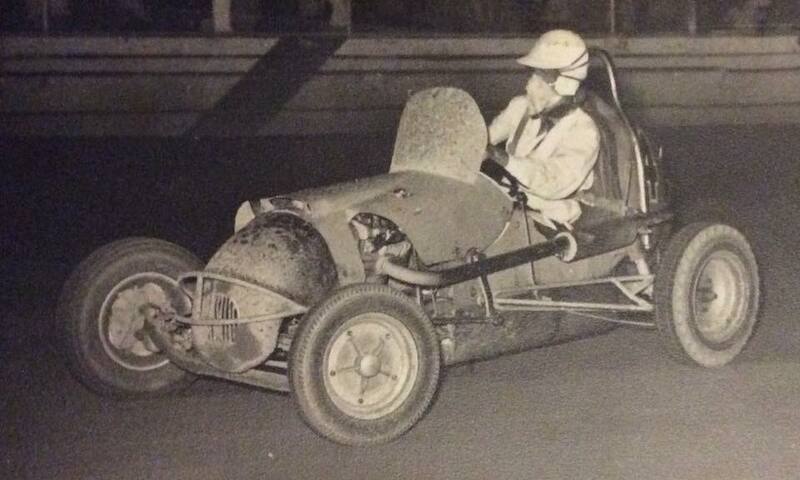 1960 - Len Golding in the ex Jack Brabham twin at Rowley Park. Photo: Dean Donovan. 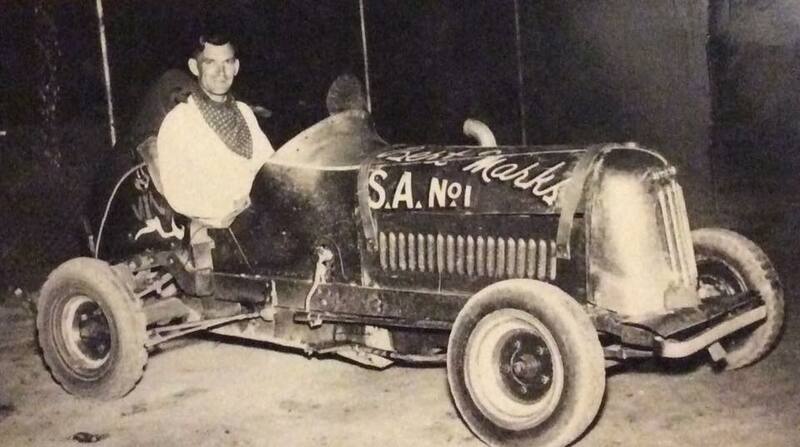 1960 - Grahame McCubbin stared in Hot Rods before moving into Supermodifieds. Photo: Dean Donovan. 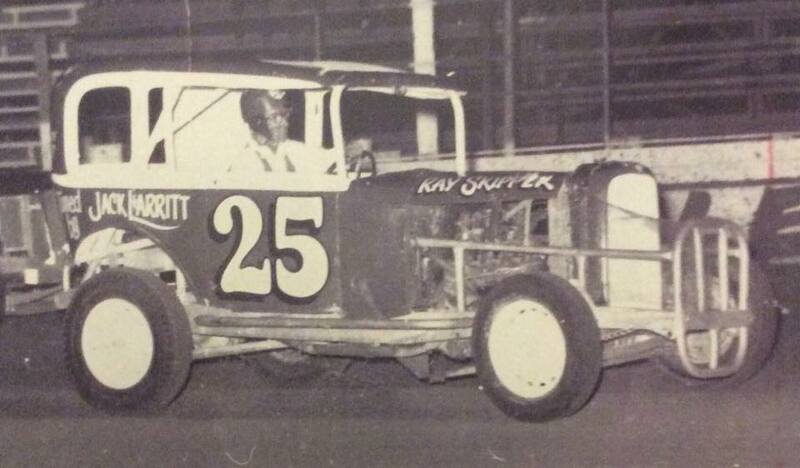 1961 - Ray Platt in the NSW 4 car moves under Bert Miller. Photo: Dean Donovan. 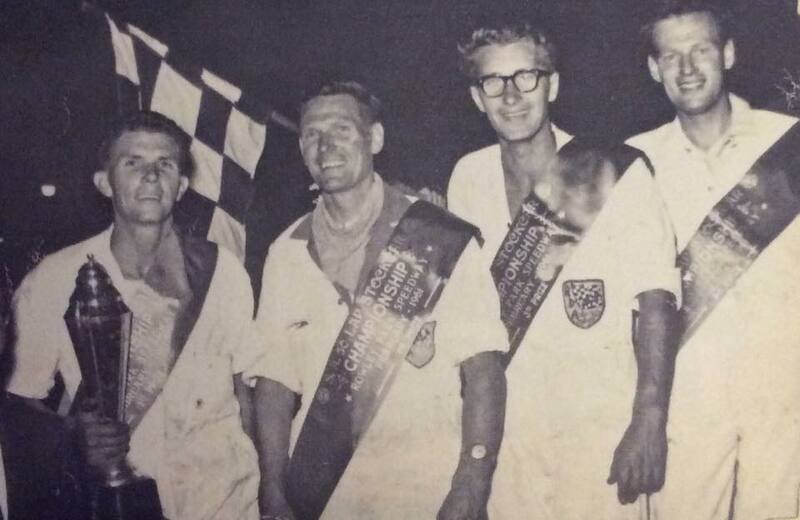 January 1961 - Jack O'Dea 2nd - Leroy Warriner 1st - Peter Cuneen 3rd - Dean Hogarth 4th Photo: Dean Donovan. 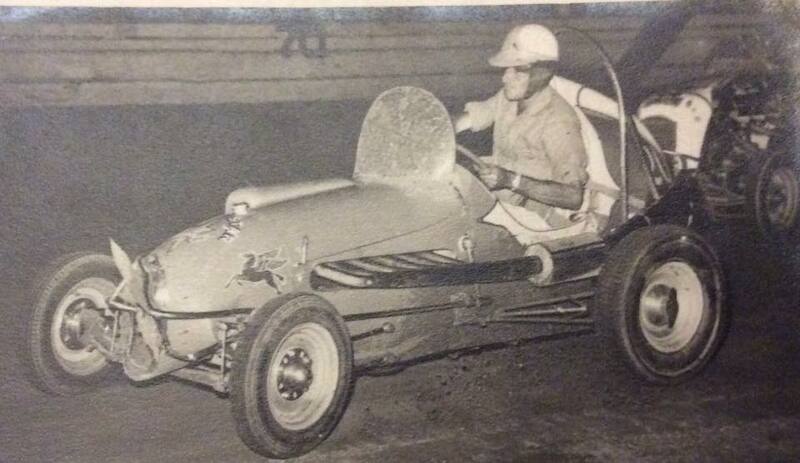 1961 - Leroy Warriner from the USA won the 50 lap derby. Photo: Dean Donovan. 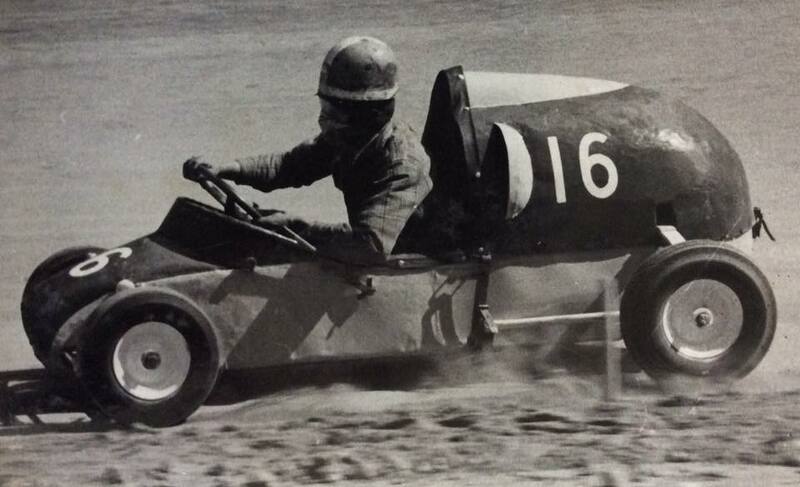 1961 - Peter Cunneen at Rowley Park in the twin powered car at the 1961 Speedcar Derby. Photo: Dean Donovan. 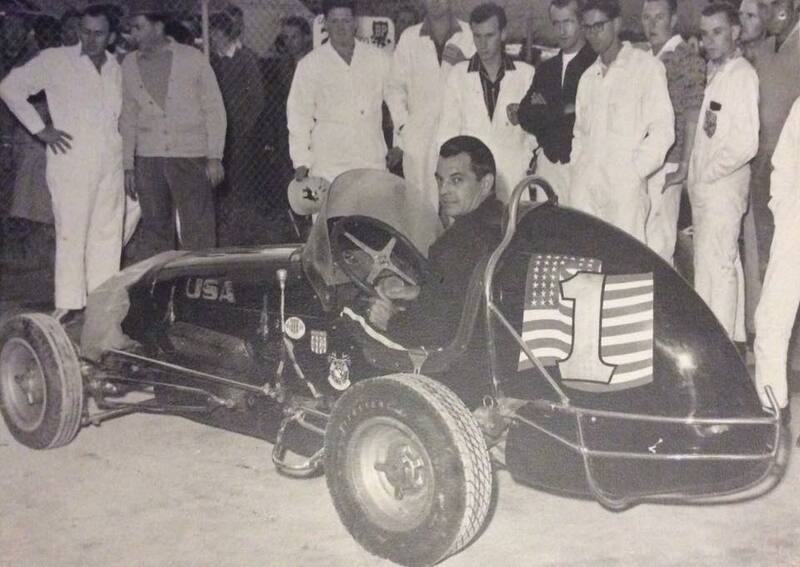 1961 - Dean Hogarth finished 4th in the world event. Photo: Dean Hogarth. 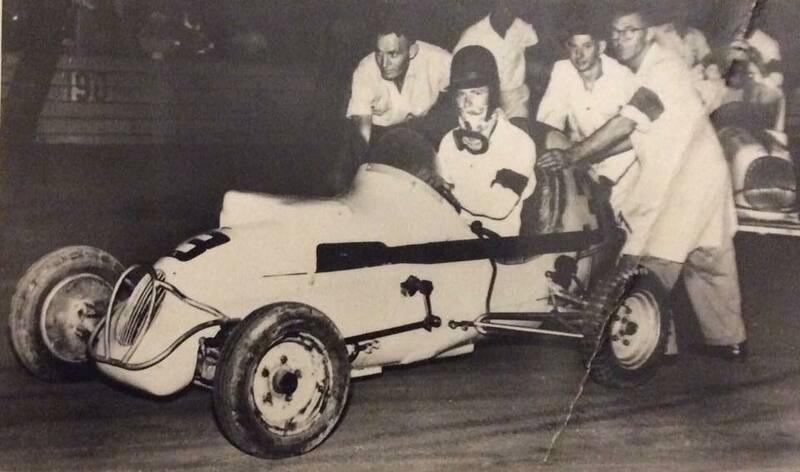 1961 - 1st Clem Smith - 2nd Murray Parker - 3rd Ray Skipper - 4th Moss Marchant. Photo: Dean Donovan. 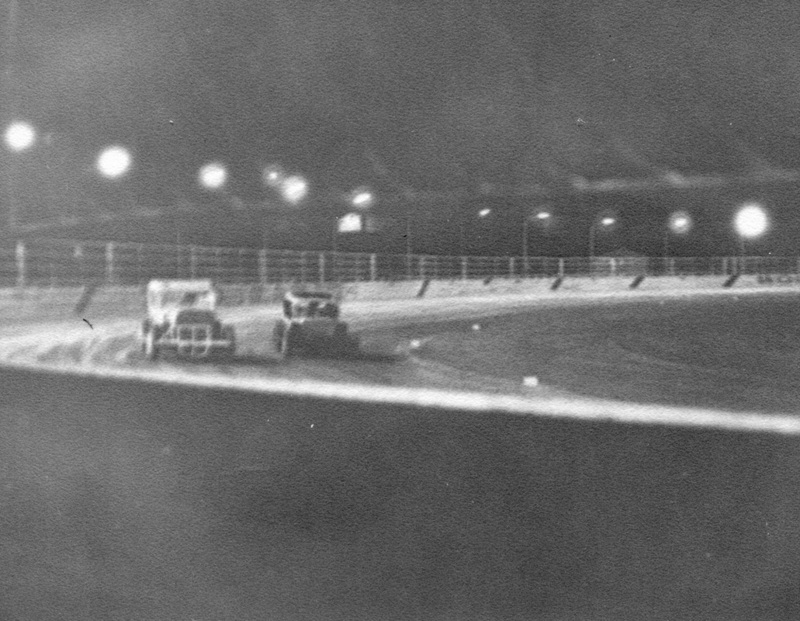 1961 - Clem Smith tears the fence apart and brings some of the lighting down. Photo: Dean Donovan. 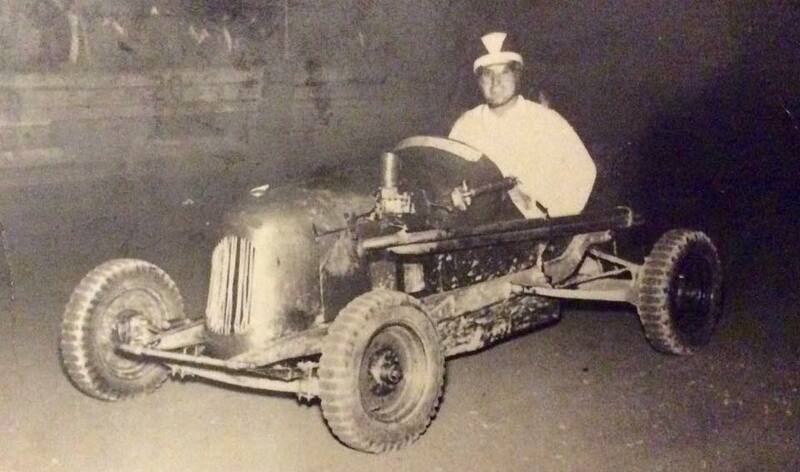 1961 - G Bosisto in the 56 machine will take no further part in this race. Photo: Dean Donovan. 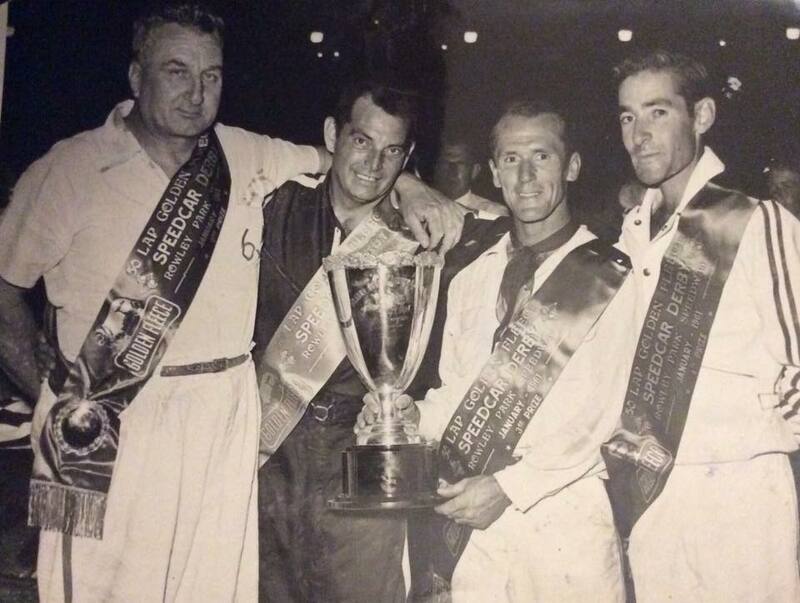 1962 - Australian TQ Championship placegetters. 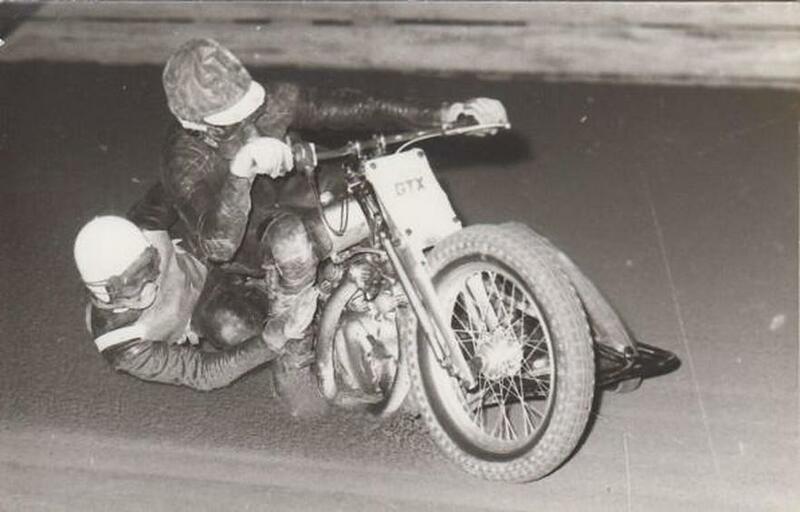 Photo: Aussie Speedway Memories facebook. 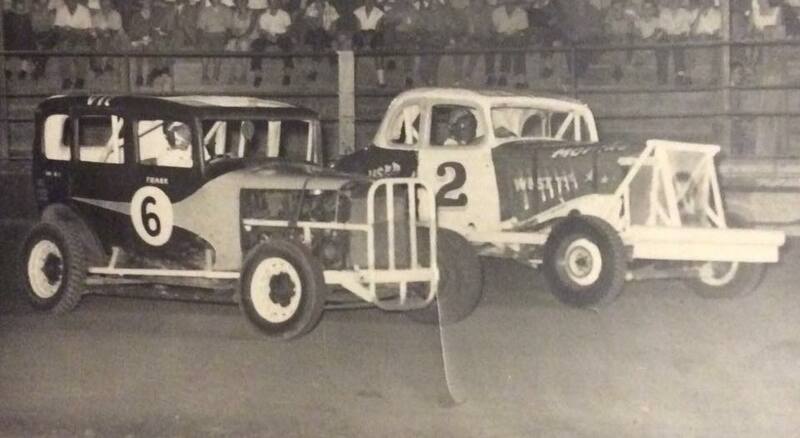 Rowley Park Hot Rods, pictured here 2 Y Block Fords. 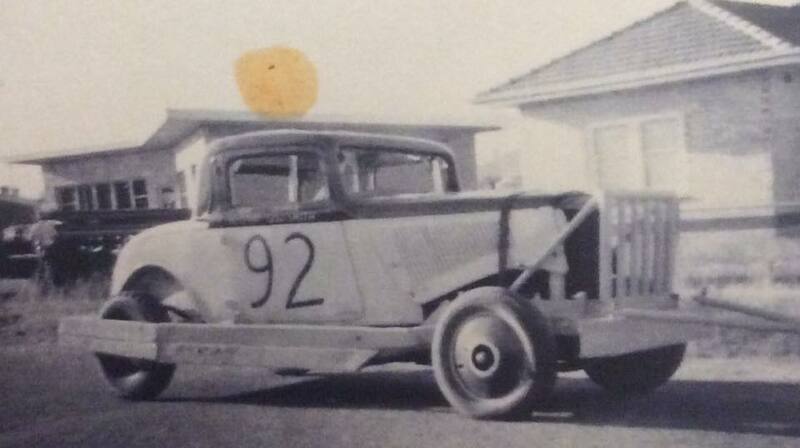 Previously owned by RDA President Ron Wood who wrote off the front end into the fence 2 weeks ago, Ron sold the number 11 Holden to Bill Curnow who repaired the car and is pictured here testing at Rowley Park. 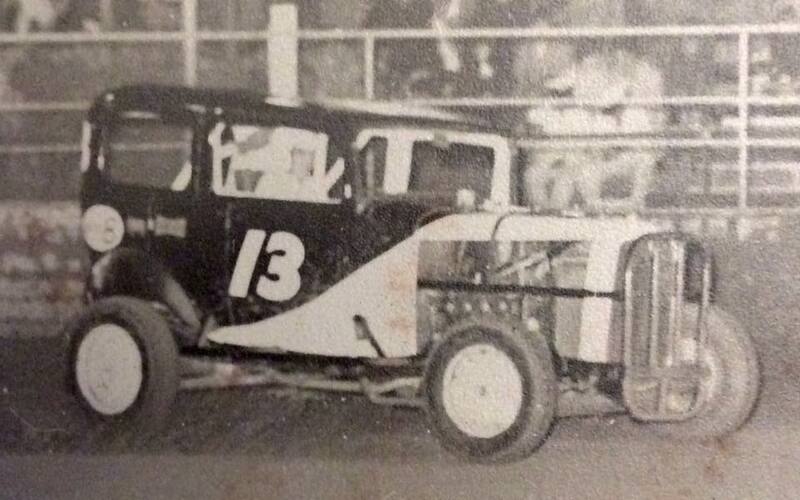 Phil Herreen powers around Rowley Park Speedway in his number 13 Valiant Super Modified. 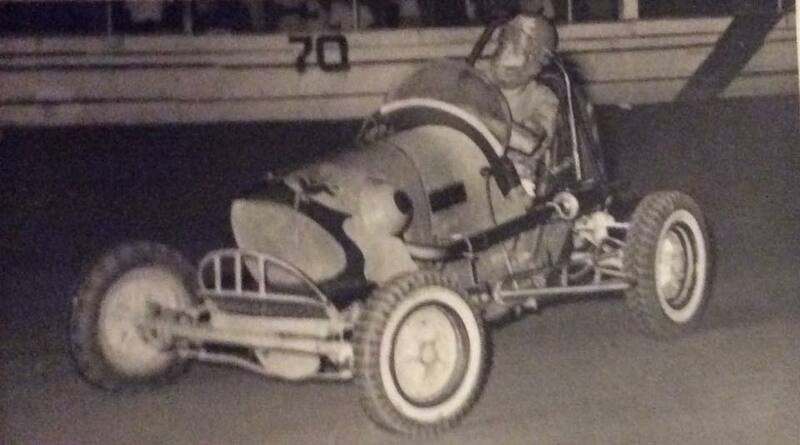 1962 - Bob Tattersal during the running of the 50 lap derby, he ran like this for 25 laps. Photo: Dean Donovan. 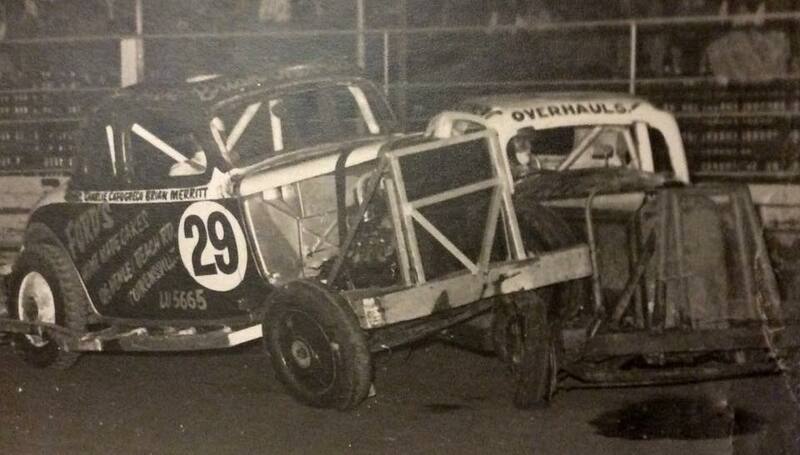 1961 > 1962 - Ray Skipper 25 chasing down Murray Parker 23 at Rowley Park. Photo: Dean Donovan. 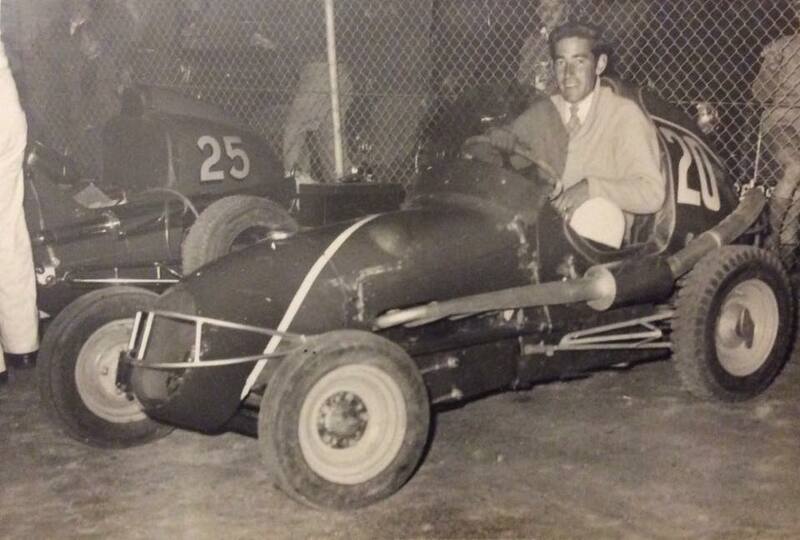 1962 - Ron Clarke 55 with Ray Skipper centre and Cliff Collins in the 272 Ford V8 powered Holden. Photo. Dean Donovan. 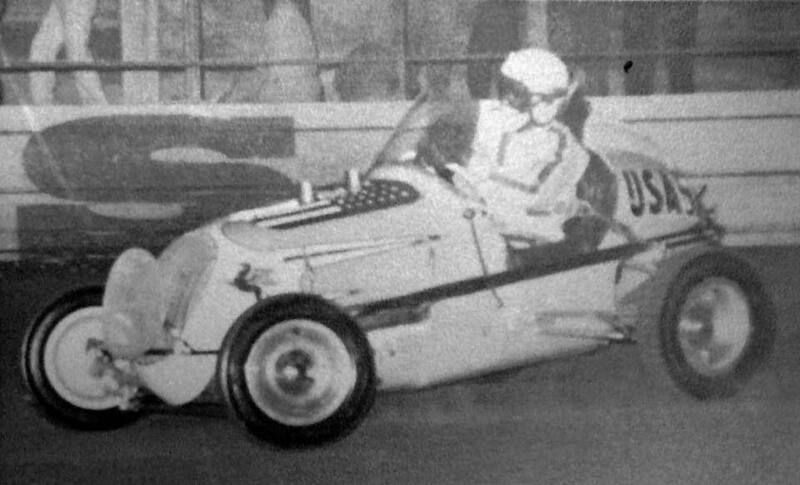 This car was the first of the "Sportsman" class to appear at Rowley Park, It was built by Graham McCubbin for Ray Skipper at the start of the 1963 1964 season, In the same year he had an accident with it at Portland and promptly sold it on the spot to RDA President Ron Wood, who ran it for a few meeting, before putting a young Zeke Agars in the seat. 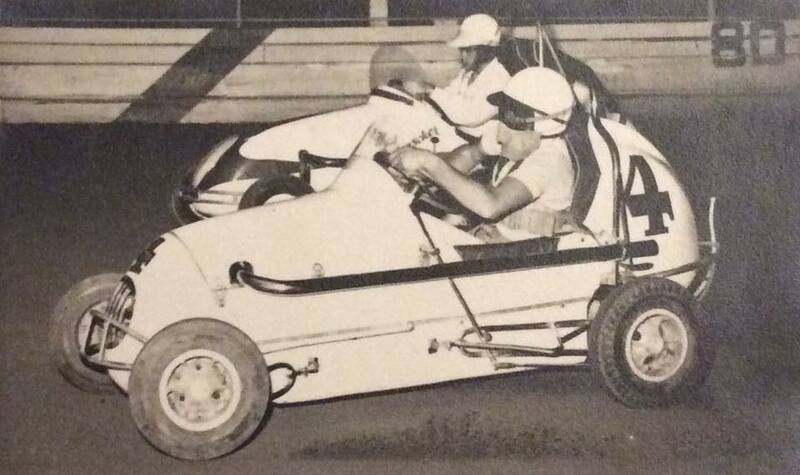 In 1965 it was sold to Brian Jefferies who fitted an OHV Ford engine and became a Modified Stock car, to suit the new rules, It then passed to "Little John" Bermingham who raced it until it was replaced by an Agars style Supermodified. 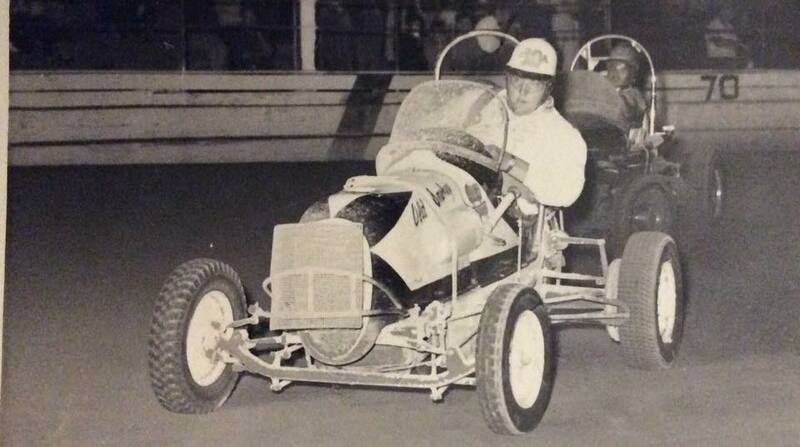 1966 - Alan Jones in the number 15 ex Ray Skipper car with Ray Skipper in 25 and Peter Denton 25. Photo: Dean Donovan. 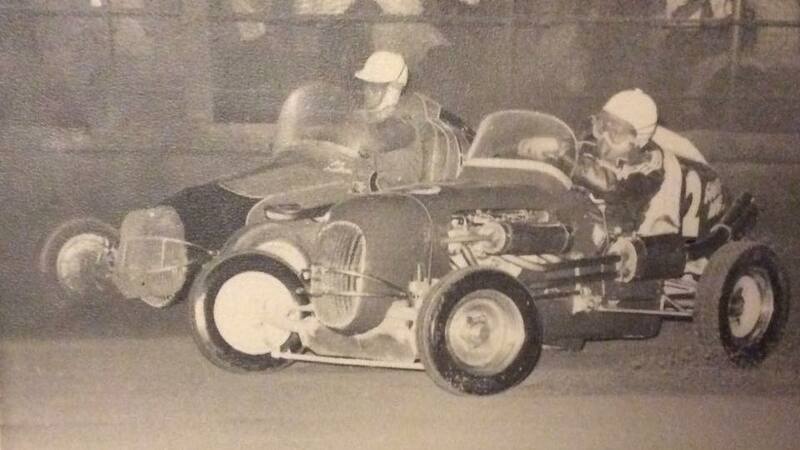 1967 - International match race, Rowley Park, outside George Tatnell NSW25 - Jim Silby SA56 - Bob Tattersall USA2 Photo: Mick Thomson collection. 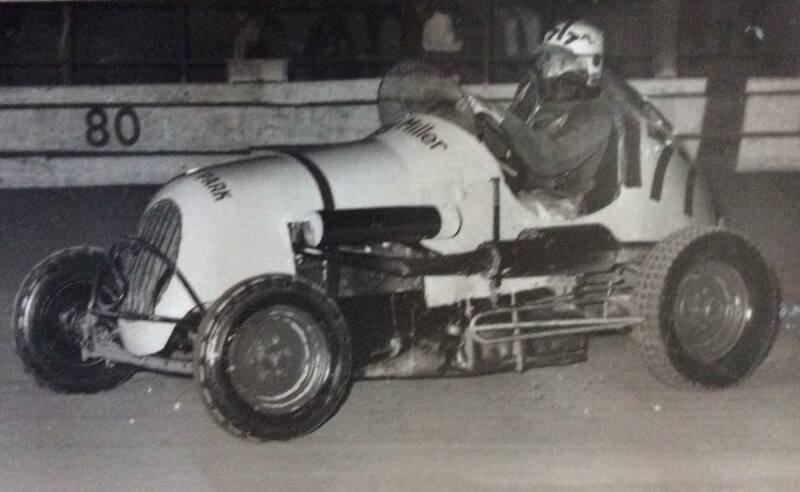 1967 - USA driver Larry Burton leads South Australia's Ray Skipper. Photo unknown. 1960's - Photo: Dean Donovan. 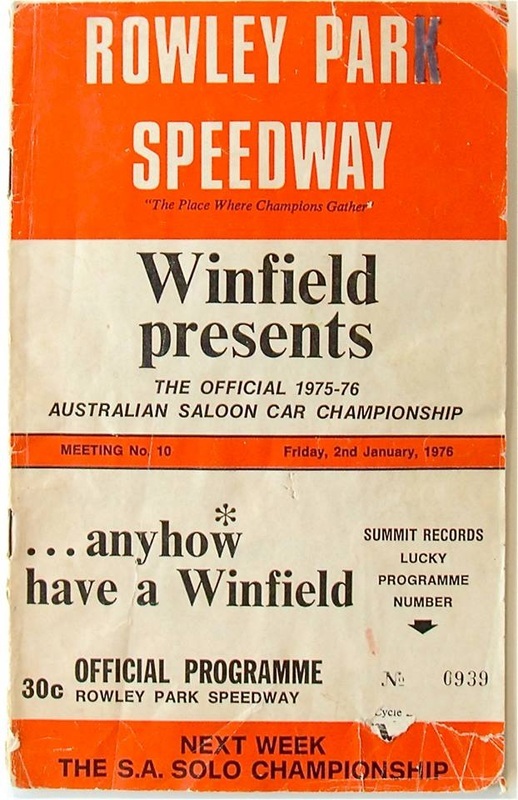 Rowley Park Speedway hosted the 1975 1976 Australian Saloon Car Championship on the 2nd of January 1976. 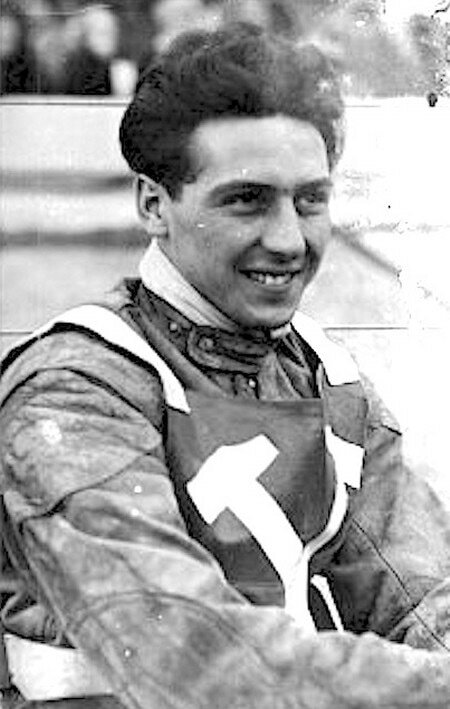 Grenville Anderson from New South Wales won the event, from Peter Timberlake out of Victoria, followed by David House from New South Wales, local driver Gary Reutier took out 4th. 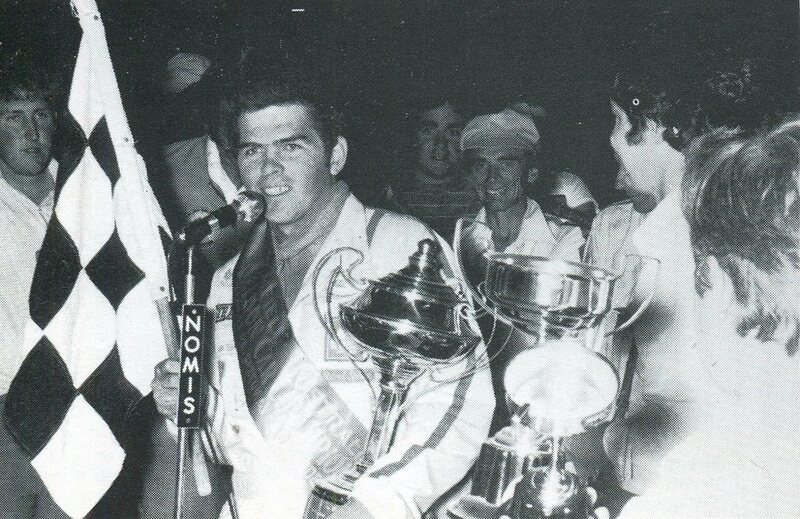 1976 - Grenville tells the Rowley crowd how he won the ASCF Australian Championship, it was reported he drove a faultless race to take the win from a field of 72 entries. 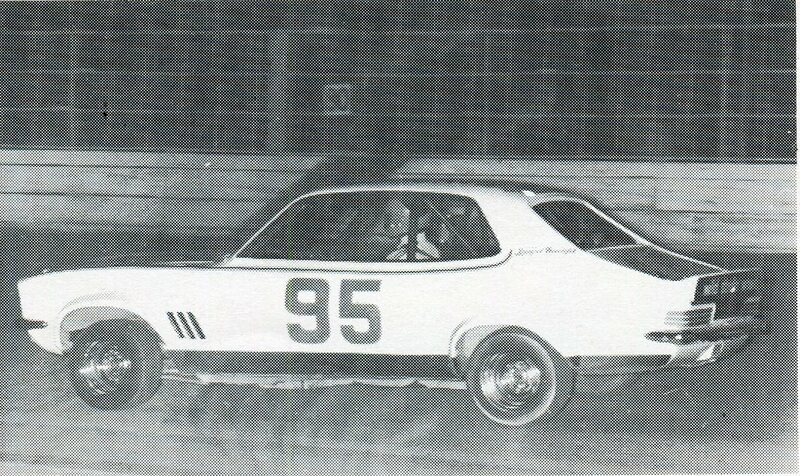 1976 - Gary Reuter in his immaculately prepared number 95 ROH Torana, Gary finished 4th in both the South Australian and the Australian championships, the first local driver home. 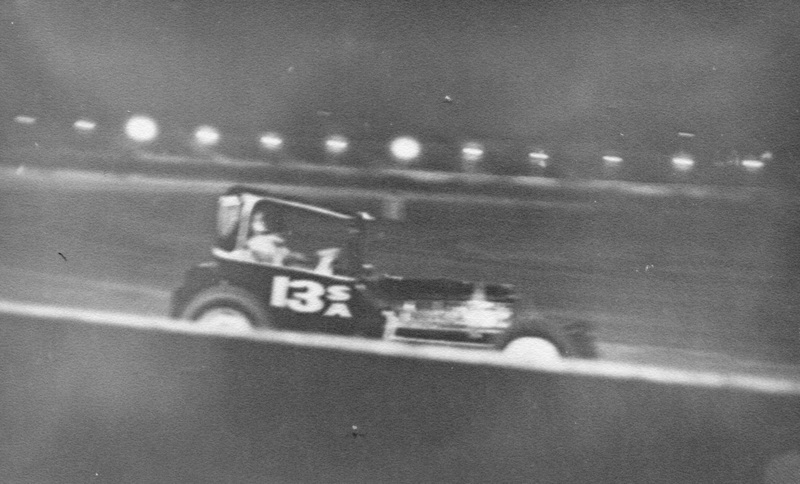 1976 - Northern Territory champion Barry Burns in his Datsun 180B SSS spins as Tasmanian champion Neville Harper passes on the high line. 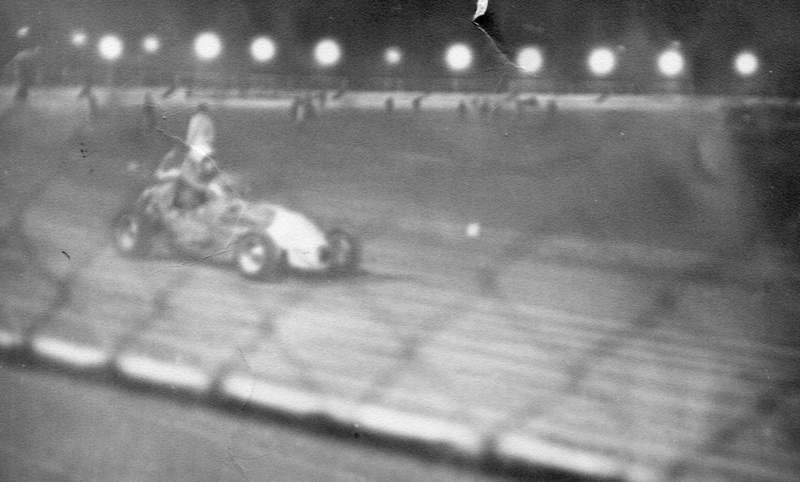 Friday the 6th of April 1979 saw the final meeting in the history of this famous track, never again to be the home to the roar of engines, or the smell of burning methanol: The end of an era! 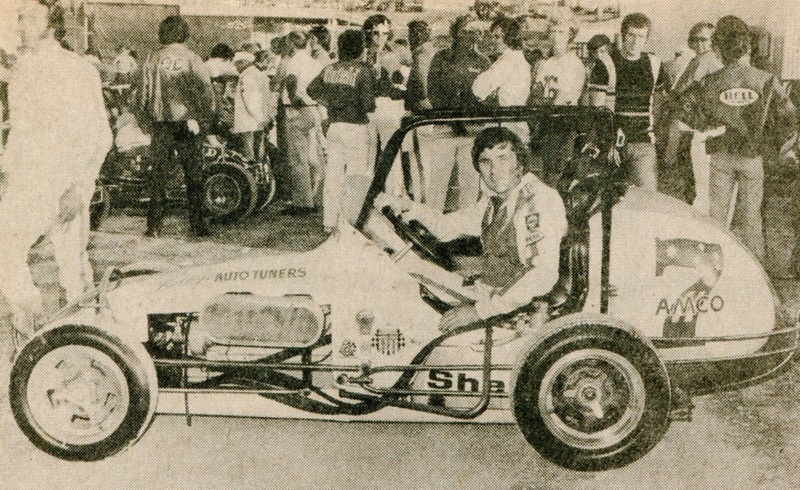 as described by Stuart Telfer in the Meyers publication Sprintcar Spectacular 0f 1980.